Cirque Éloize (“heat lightning” in Acadian French) is a Quebec based contemporary circus troupe that has been capturing the hearts of audience around the globe since 1993. Focused on reshaping the stereotypical perception of circus arts, Cirque Éloize is anchored upon the multidisciplinary talents of its artists. Their captivating and exhilarating display of creativity, agility, and gravity-defying stunts – all with a perfect dose of poise and originality took our breath away over the two hours (including a 20-minute intermission). The performances combined circus arts with urban street acts, contemporary dance movements with urban beats, and an evolutionary light show that brought audience from the bustling streets of New York City to the quiet Savannah desserts under the moonlight. 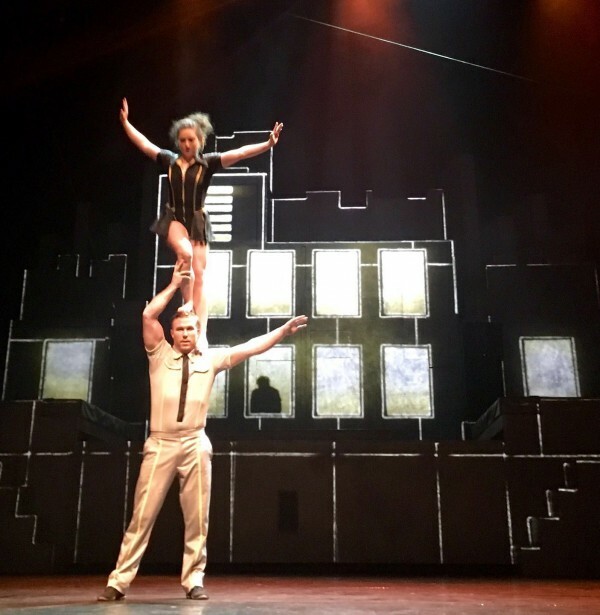 With a team of 15 world-class performers who are well versed with a variety of acrobatic acts, circus disciplines, and bicycle/rollerblade stunts, we were treated to an evening of the high energy production “iD” at the Marina Bay Sand’s Mastercard Theatres. 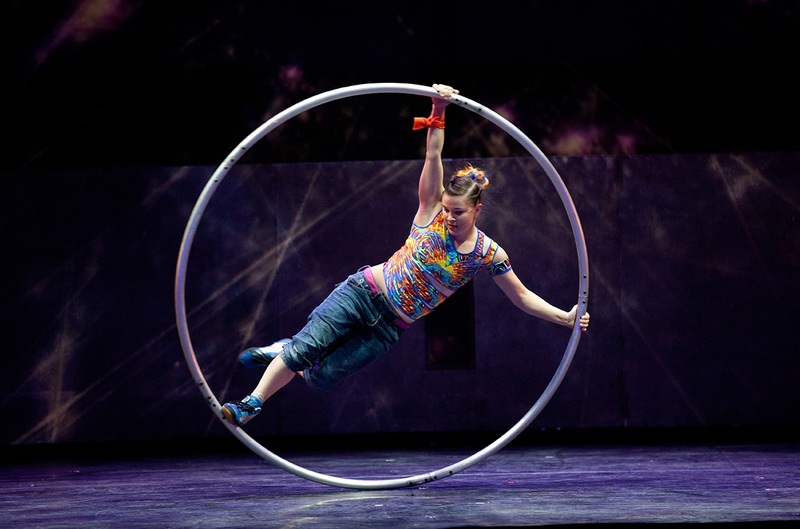 With ten original productions to its credit, Cirque Éloize has presented almost 4,000 performances in over 440 cities and 40 countries. It has also taken part in numerous prestigious international festivals. 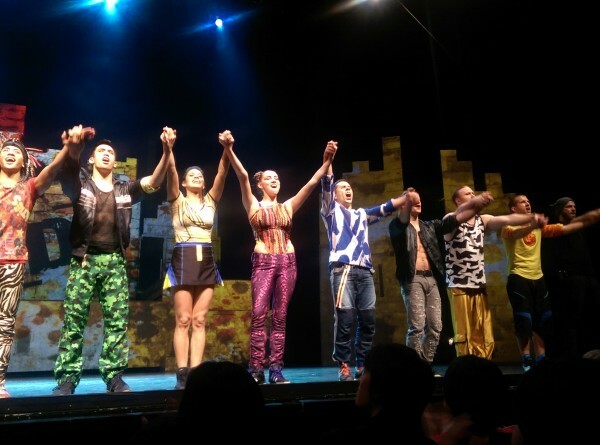 The opening performance was set in a busy city street, with city dwellers purposefully racing up and down the stage. Their rhythm was broken by a sudden on-set of slow motion moves and a contemporary dance routine by the lead performers whose moves showcased a perfect blend of strength and grace. With moonlight falling upon the pavements, we were brought to a rowdy street alley with a centerpiece performance of pole acrobatics that showcased strength, agility and gravity defying stunts by the male acrobat. The rest of the evening was filled with a mix of contemporary circus acts and dance routines that included bicycle hopping and blazing rollerblades stunts (they had a race that started on stage, went off stage, and eventually back on stage again), multiple ball juggling, mass skipping routine (that involved bicycles, stilt walkers and a simultaneous 3-rope skipping display), and a trampoline choreography that mimicked a skate park showdown competition which was a pure delight to the senses and a must watch for adrenaline rush junkies. Our favourite performance of the evening was a tie between the hula-hoop acrobatics display, the aerial silk circus act and, the contortionist. The juxtaposition of strength and poise, speed and elegance was a true celebration of the circus art, and the showcase of excellent choreography by the show’s artistic director, Jeannot Painchaud. 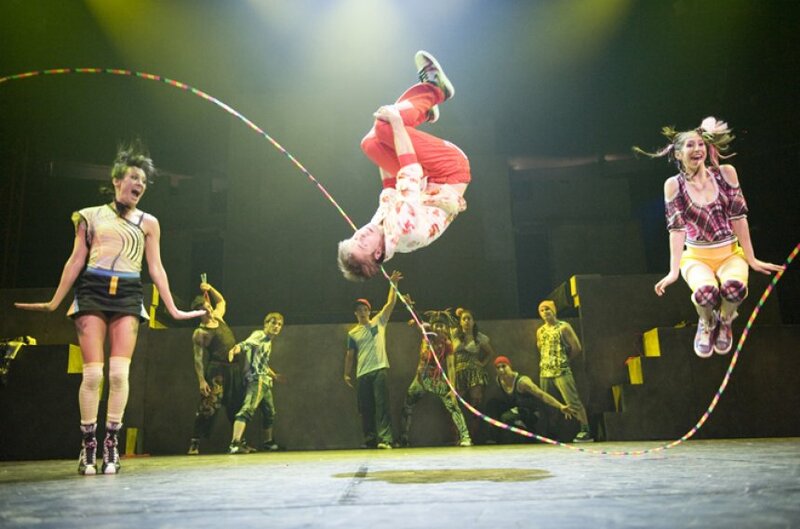 True to Cirque Éloize’s vision, the 2-hour show was a more than a blend of circus arts and urban dances. It made the audience think about acrobatics in a contemporary fashion – something that could be integrated so seamlessly into the urban world. With barely a dull moment throughout its performance, Cirque Éloize left the audience at the edge of their collective seats, making it very much worth every second and penny. It has certainly lived up to its namesake – heat lightning, a testament to its visual mastery. This performance is courtesy of BASE Entertainment Asia.